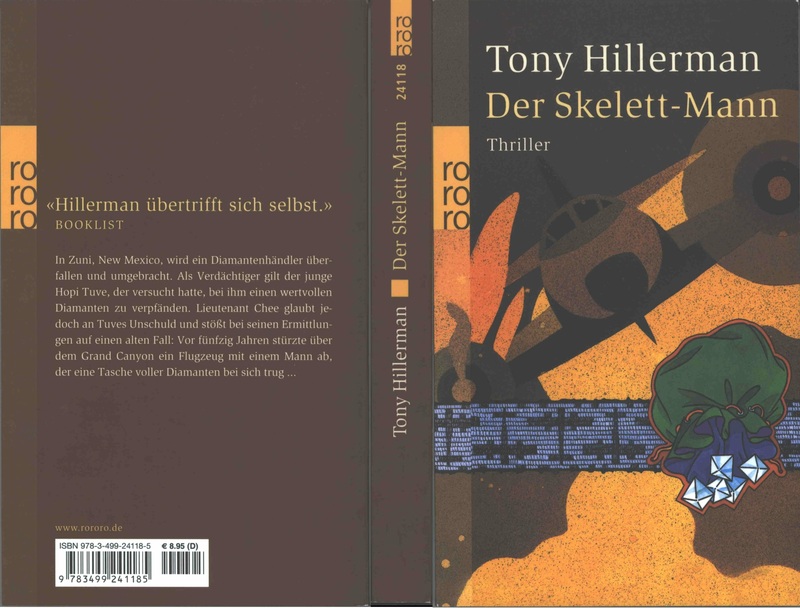 This is the full and detailed views of the second German edition of Skeleton Man. 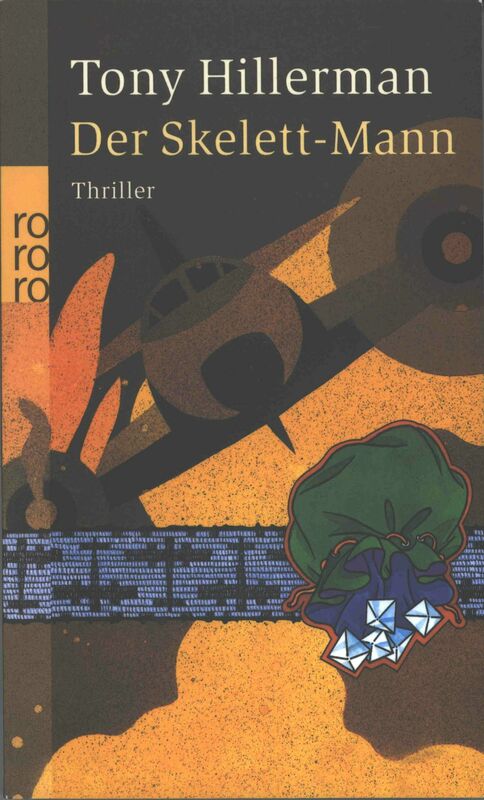 This edition was published in January of 2009 by Rowholt Taschenbuch Verlag GmbH in Hamburg, Germany. Design and Photography Credits: Cover design by Cathrin Sathoff and the cover photograph is by Jürgen Mick features a collage of images including: a flaming plane, a bag of diamonds, and an embroidered panel with a plane design.